One of the most popular boy band members in the world was snapped wearing the same Christmas sweater as RTE’s Ryan Tubridy. One Direction’s Harry Styles posted pictures of himself wearing the same ‘elf’ Christmas jumper that the TV presenter wore to present the ‘Late Late Toy Show’ earlier this month. The sweater is made by an Irish company, Funky Christmas Jumpers. Curly haired Styles also posed wearing the ‘Rudolph the Ryandeer’ sweater from the collection. 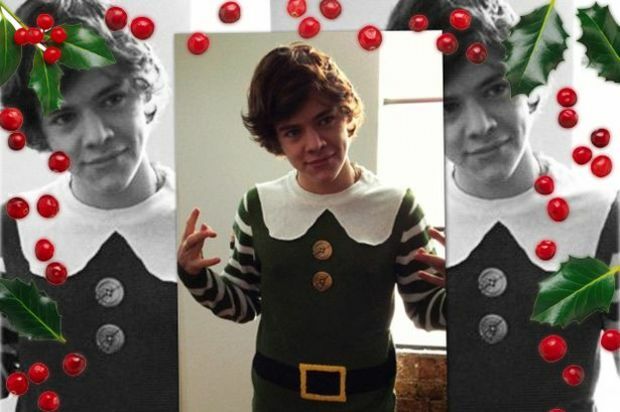 I suspect Styles’ Christmas style sent One Direction fans’ hearts swelling with joy!